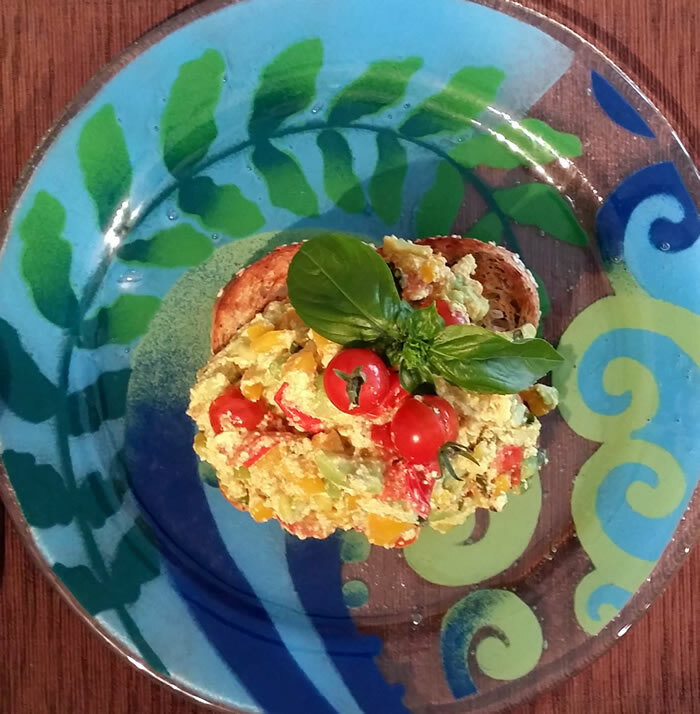 If you are a fan of Hollandaise Sauce like I am, then you will often have leftover egg whites, so instead of making meringues or pavlova, here is a healthy option that you can whip up quickly for an impressive breakfast. 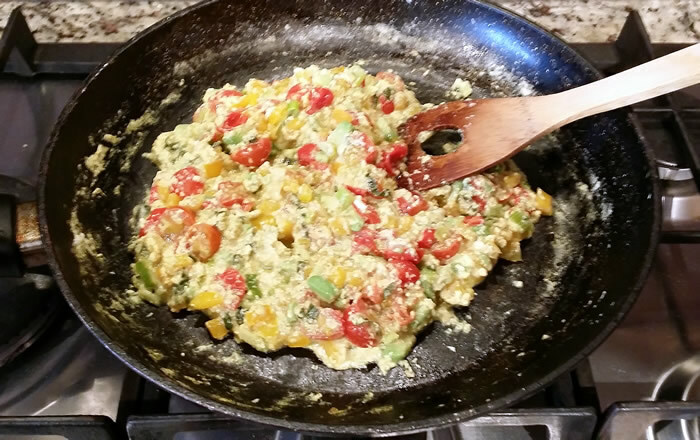 Use one egg white per person. 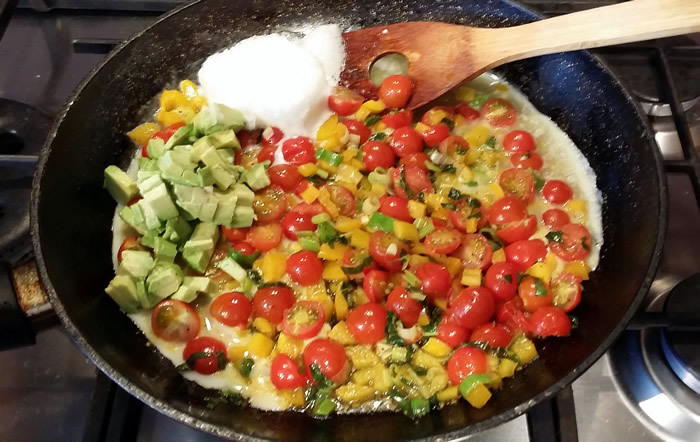 I’ve used yellow capsicum to make a contrasting colour to the tomatoes and avocado, but any colour is good – green aren’t as sweet as red, yellow and orange, but it will still taste great! Serve on toast sprayed lightly with olive oil rather than butter to keep it guilt-free. 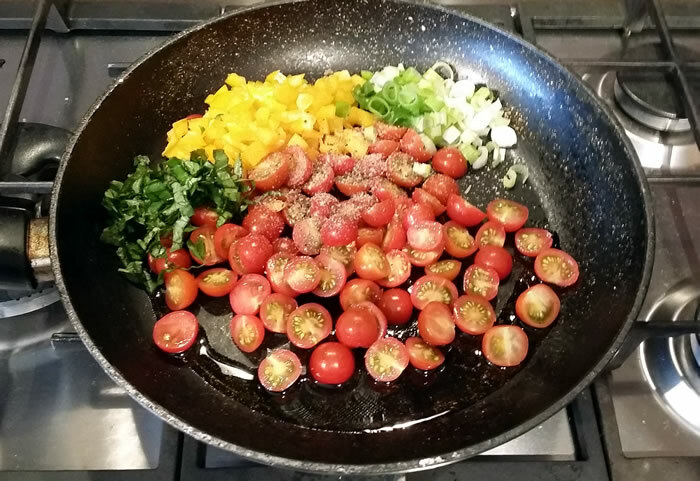 Heat the oil in a large frypan and gently fry the onion, capsicum, tomatoes and basil together with a good grinding of both salt and pepper for a few minutes. … until the egg is set. Have hot toast at the ready. 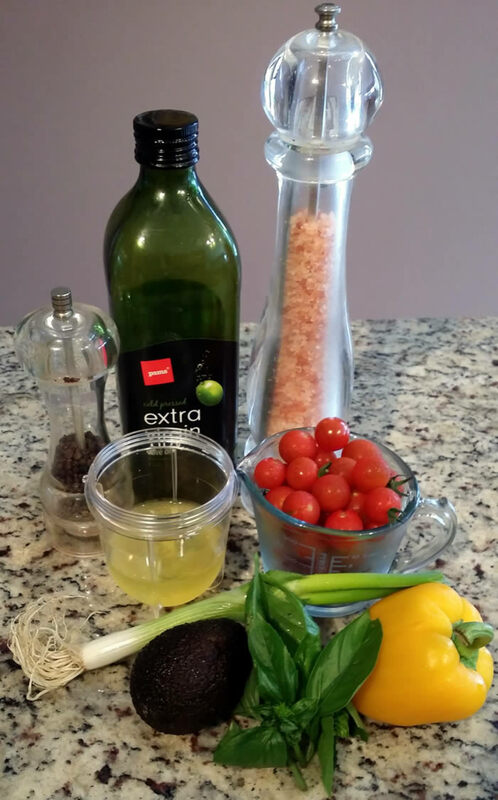 Serve immediately garnished with basil and extra tomatoes.